Feat. S.Talker Inc., Ether, Meta:Led, Pierpaolo Leo, Luca Sigurtà, Hubert Mensch, Norm, crashcars for the ravers, aal, Telepherique, The Impossible Flower, Talk Show Host, Never Known, Nicola Ratti, S.Talker Inc. 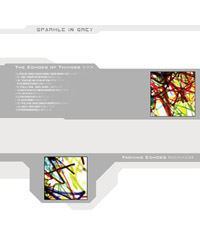 DESCRIPTION: The Echoes of Thiings is the very first and only album of Sparkle in Grey as Matteo Uggeri only, before he involved Cristiano Lupo, Alberto Carozzi and Franz Krostopovic. 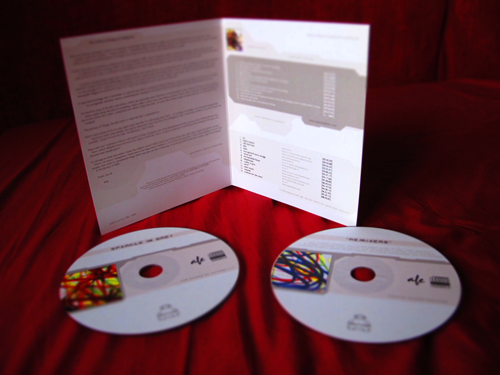 It's a purely electronic and field recordings work, in a quite Warp/Morr style. Some of the songs have been afterward re-made by the whole Sparkle in Grey band in new versions and appear on the A Quiet Place album (2008). "Digitalized images of places - grass, blue rivers, hills, bedrooms - where sweet melancholies grow [...]. A bit harsher but also surprising is the second CD of remixes [...] hyper-cinetic bpm (The Impossible Flower), various species of ambient genus (Talk Show Host, Norm), isolationistic processes (Luca Sigurtà & Marco Aureggi)."